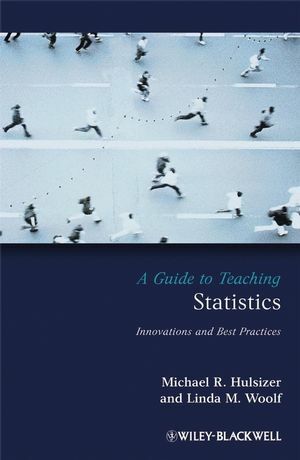 A Guide to Teaching Statistics: Innovations and Best Practices addresses the critical aspects of teaching statistics to undergraduate students, acting as an invaluable tool for both novice and seasoned teachers of statistics. Michael R. Hulsizer is Associate Professor of Experimental Psychology at Webster University in St. Louis, Missouri, where he was honored with the prestigious William T. Kemper Award for Excellence in Teaching (2002). He has attended numerous National Institute on the Teaching of Psychology conferences and has won awards for posters presented at the conference. Michael has coauthored several teaching resources available at the Office of Teaching Resources in Psychology – Online. In addition, he recently contributed a chapter with Linda on incorporating diversity into research methods for Best Practices for Teaching Statistics and Research Methods in the Behavioral Sciences. Michael has also authored articles on mass violence, hate groups, and interpersonal aggression.